At Zencare, we love learning about what inspires others to combat mental health stigmas. We spoke with Colleen Mann, a chapter leader for Project HEAL, about her personal journey towards becoming a mental wellness advocate. Project HEAL: Help to Eat, Accept and Live is the largest nonprofit in the U.S. delivering prevention, treatment financing, and recovery support for people suffering from eating disorders. I first got involved in mental health advocacy in 2010. After my eating disorder diagnosis and going through intensive treatment, I felt empowered in my new recovery to make a difference. Drawing from my personal experience, I aimed to help others who were struggling, and educate the general public about mental health. I started writing articles in my high school paper about body image, and hosted two fashion show fundraisers that celebrated all bodies, raised awareness for eating disorders, and raised money for the National Eating Disorders Association (NEDA). I continued my advocacy work when I went to RIT to study fine art photography. My work gravitated towards exploring my experience with an eating disorder, and coping with weight restoration. These photographs and videos served as a vehicle to engage in a conversation around mental health with artists in my community. My artwork has also spread the conversation globally, at exhibitions and in publications. Fundraising for organizations like NEDA and using my creativity to talk about mental health gave me a unique and powerful balance to effect change. How has mental health, mental illness, or stigma impacted your life? With my own history of mental illness, I have definitely felt stigmatized. I’ve had to fight for proper insurance coverage and was shamed by peers for struggling. It’s difficult and frustrating that an illness has stigma attached to it. No one chooses to have a mental illness, and everyone deserves the opportunity to be well and live a full life. What are ways that you’re working to break down mental health stigma in your community? How are you supporting people with mental illness who are struggling? I am currently the chapter leader for the Project HEAL Boston Chapter. As chapter leader, I coordinate recovery speaking events at treatment centers in the Boston area, organize fundraisers to support Project HEAL’s mission, and oversee the new peer mentorship program, Communities of HEALing. Personally, I am currently working on my masters’ in clinical mental health counseling with a specialization in art therapy from Lesley University. My goal is to combine traditional psychotherapy and art therapy to help individuals recover. I also have an ongoing photo project, Recover, where I meet with eating disorder survivors to hear their story and take their portrait. What can our readers be doing to combat mental health stigma and be an advocate themselves? We can all work to combat mental health stigma. Gently correcting someone when they make a demeaning remark about someone with a mental illness can begin to shift the culture. Call your local, state, and national representatives and senators to ask what their views and policies are on mental health care. If you’re worried about a friend or family member, let them know you are here for them. Asking for help can be scary, but knowing you have an ally supporting you can make all the difference. 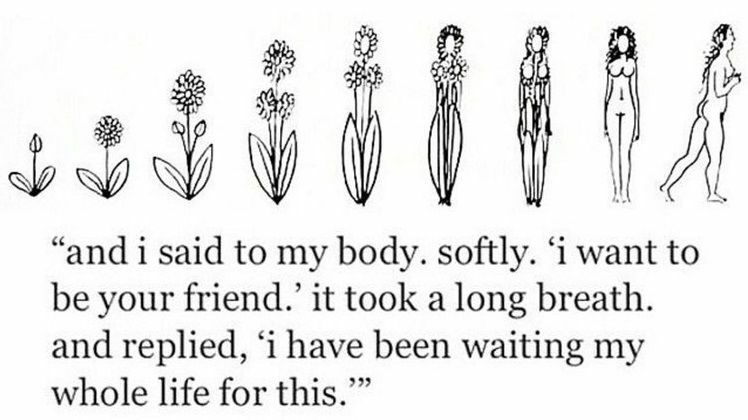 What is one message you’d like to share with people who are currently struggling with an eating disorder? You are worthy of love and belonging. Asking for help can be scary, but it’s the first step to rebuilding connection. When we authentically live and speak our truths, there’s no room for the eating disorder anymore.